Two technology start-ups with close links to the University of Aberdeen have been tipped as future energy industry stars following their selection for the TechX Pioneer technology accelerator programme. RAB Microfluidics and Blue Gentoo will each receive £25,000 in seed funding to develop their business and technology as part of an intense 16-week programme which starts at the Oil & Gas Technology Centre in June. Blue Gentoo was founded by University of Aberdeen alumnus Phil Bremner after a long career in the oil and gas industry. The company is developing a gas hydrate management solution to provide real-time monitoring of gas production flow. This will mitigate and manage the formation of gas hydrates and ensure the efficient dosing of ‘anti-freeze’ chemicals, saving companies millions of pounds. RAB Microfluidics was formed by Rotimi Alabi, a University of Aberdeen graduate who turned his PhD into a business idea with support from the University. The start-up offers oil analysis to businesses through ‘lab-on-a-chip’ technology that aims to dramatically reduce maintenance and repair costs for heavy equipment. 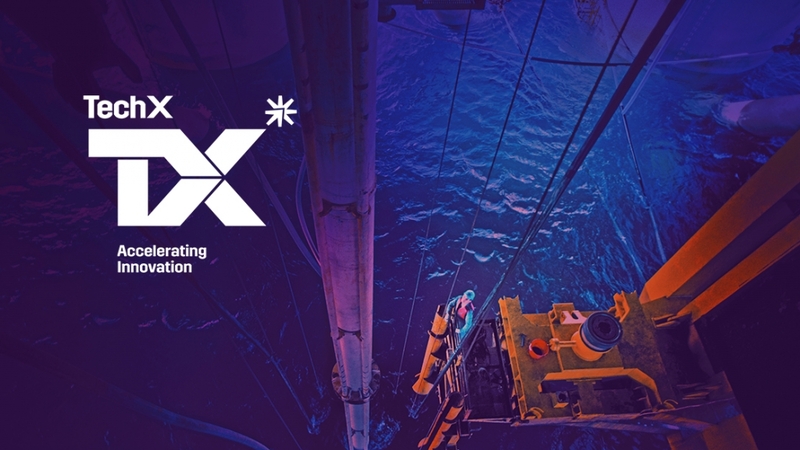 They are part of 10 technology start-ups to make it into the Pioneer programme following a pitch to a panel of industry experts and academia, who are searching for solutions that could transform the future of the oil and gas industry. Up to £75,000 in additional funding is available during the 16-week programme, and upon graduation Pioneers will be transferred into a 12-month incubator called TechX+. Furthermore, two companies with the most exciting potential also have the opportunity of a further £100,000 funding from BP. David Millar, TechX Director, the Oil & Gas Technology Centre said: “We were blown away by the technology ideas presented and now have 10 ambitious start-ups with us that want to change the world! I’m sure these first Pioneers will set a benchmark in technology development that positions TechX as the leading accelerator for companies hoping to break into the oil and gas industry. Blue Gentoo was in the first Grey Matters cohort at Elevator in Aberdeen, a successful entrepreneurship initiative which aimed to harness the experience, knowledge and innovation of senior oil and gas professionals who are either facing redundancy or have been made redundant. It was formed by University of Aberdeen alumni Phil Bremner after a long career in the oil and gas industry. The Oil & Gas Innovation Centre (OGIC) have recently announced the signing of a new industry project which sees the University of Aberdeen partnering with Blue Gentoo to develop an Intelligent Hydrate Platform (iHP). RAB-Microfluidics was formed by Rotimi Alabi, who developed the idea while working on his PhD at the University of Aberdeen’s School of Geosciences. With oil analysis usually carried out in a lab, the development of the ‘lab-on-a-chip’ sparked a business idea that led Alabi to contact the University’s Research and Innovation Department, who provided expertise that helped him create RAB-Microfluidics. Now based at the University’s ABVenture Zone, which provides support and state of the art office facilities for innovative start-ups through the Accelerate Aberdeen programme, RAB-Microfluidics has won a number of awards, including a NERC Enterprise Fellowship award and overall champion at the University Startup World Cup 2017.